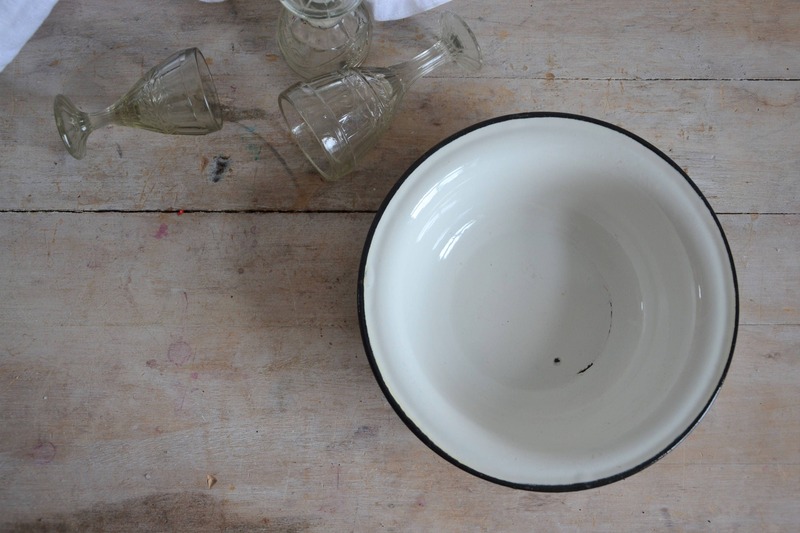 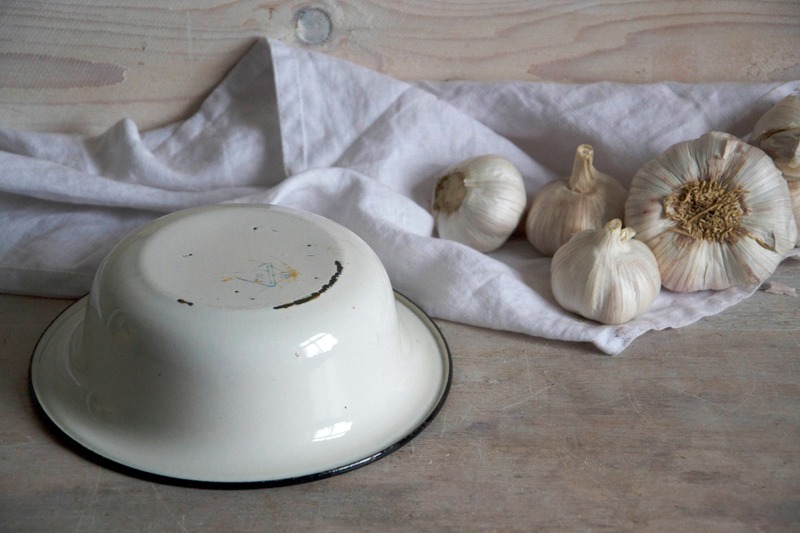 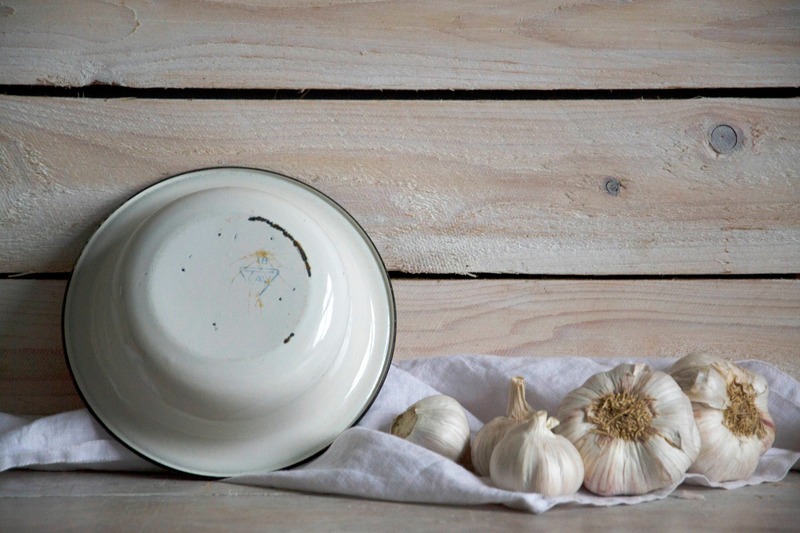 Charming enamel bowl. 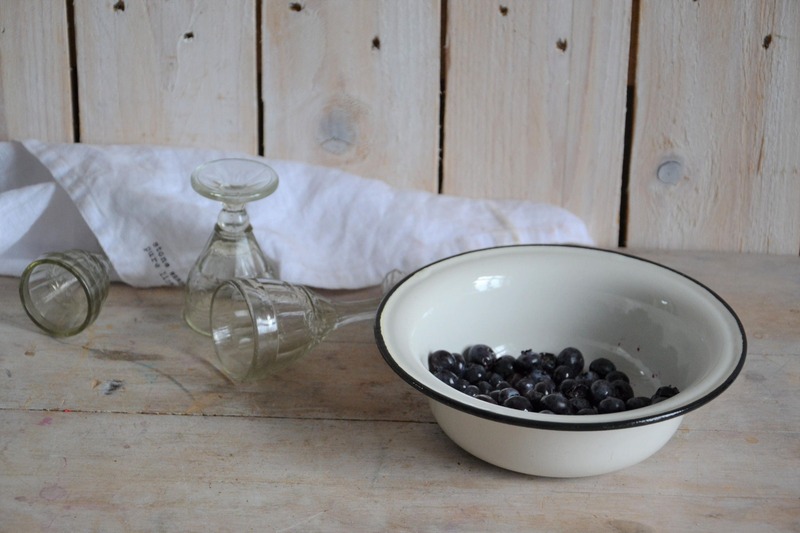 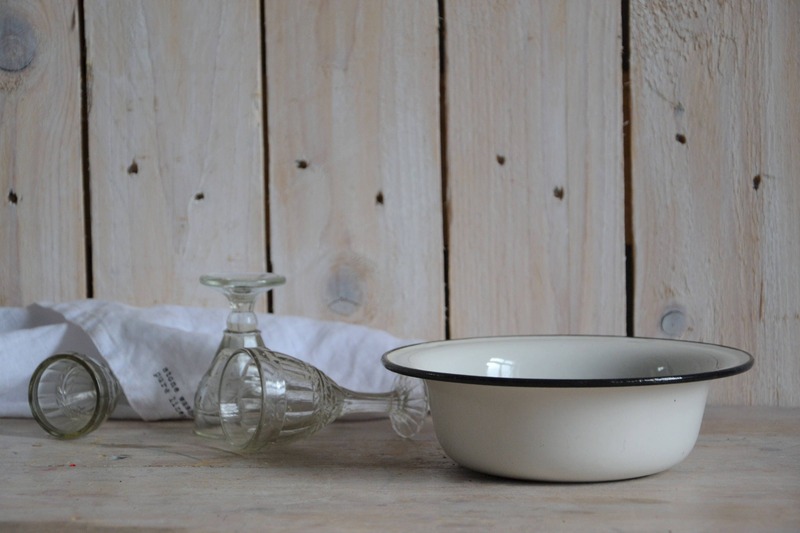 Full of vintage charm to be displayed or used in farmhouse and cottage kitchen interior. 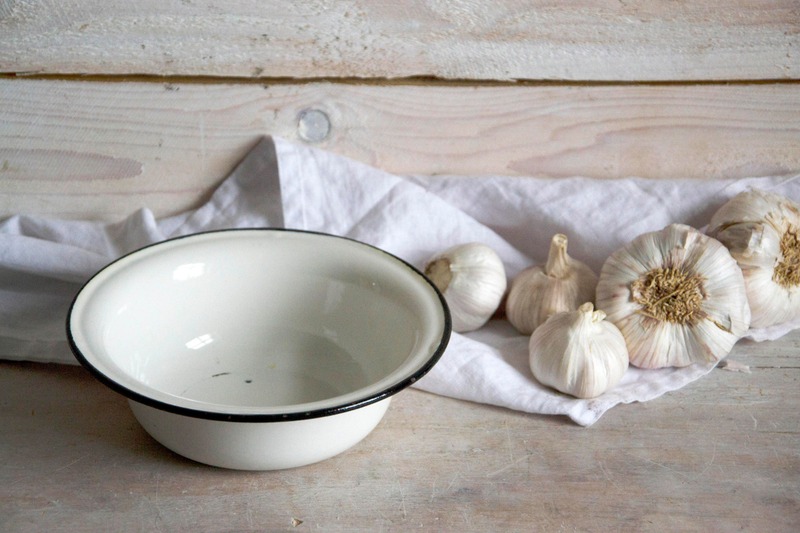 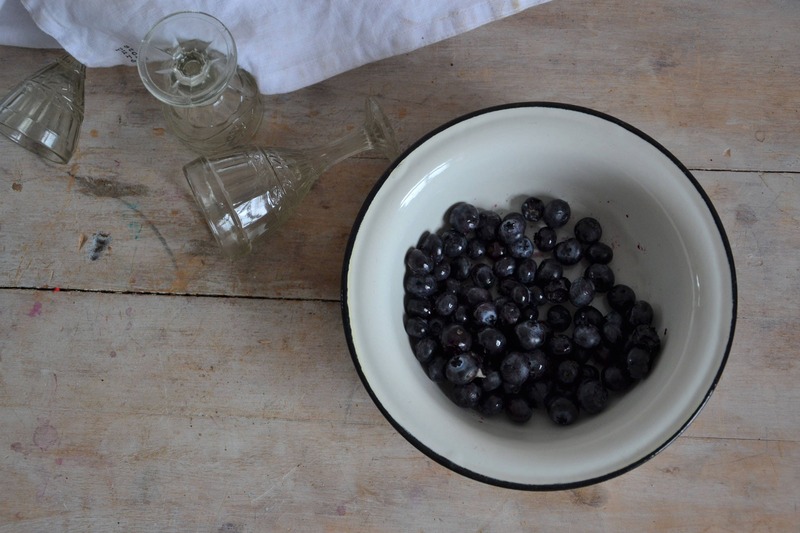 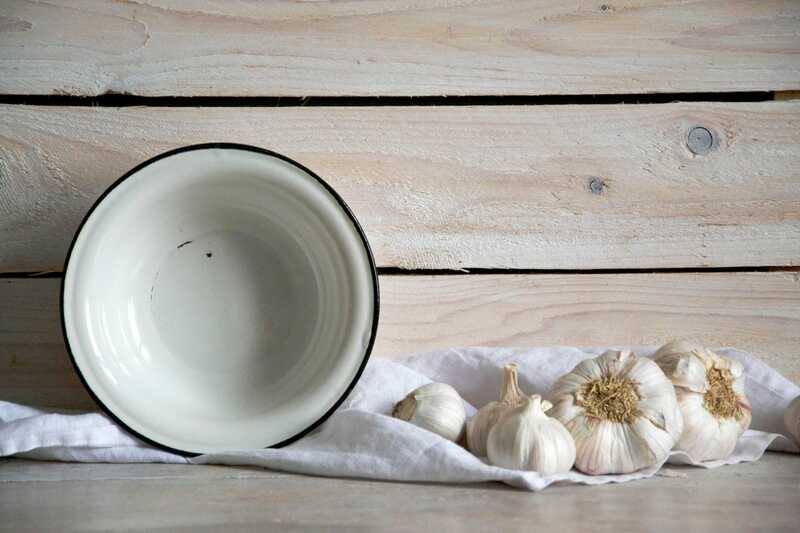 This bowl is great primitive item in your kitchen. 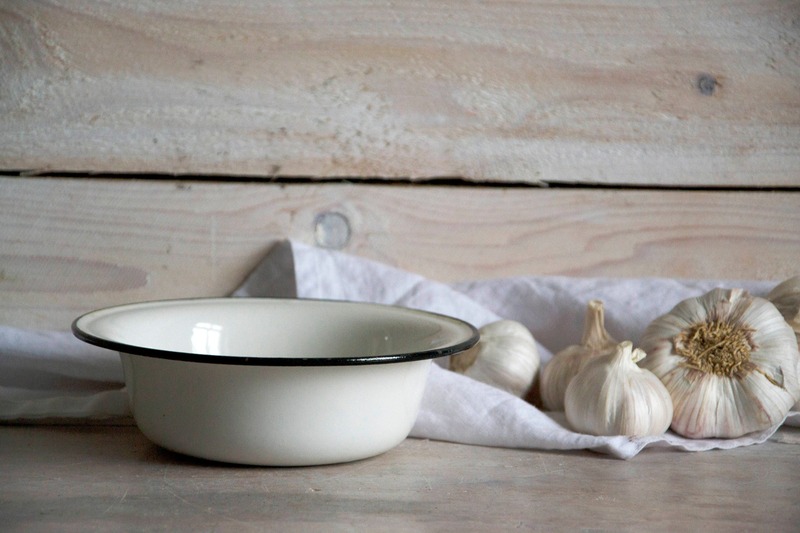 White bowl with white interior and black rim. 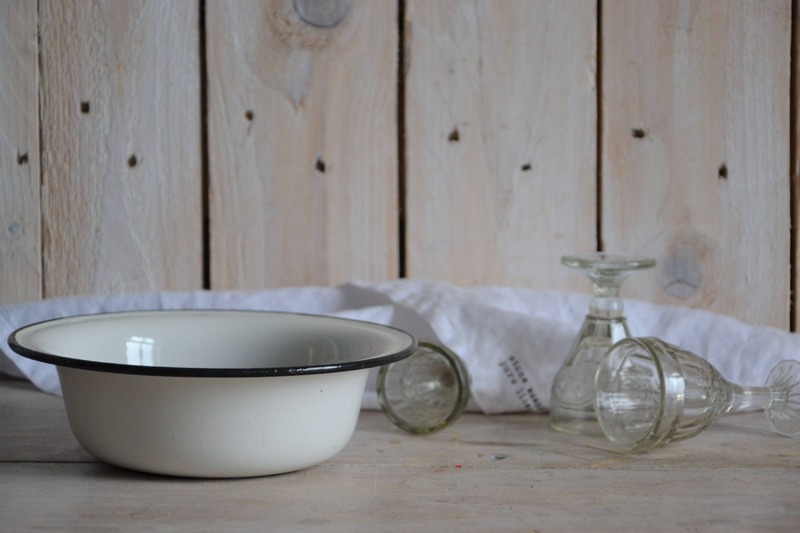 CONDITION: with small signs of age, enamel chippings, scratches on interior and outside.